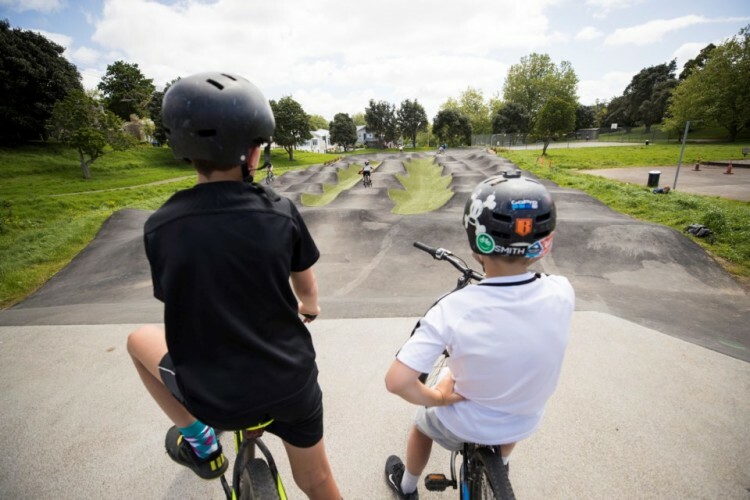 Get biking on the new asphalt pump track at Grey Lynn Park. You can ride this bicycle track with minimal pedalling and it includes twists, turns and jumps perfect for BMX bikes, mountain bikes, skateboards and scooters. This 6km coastal walkway and cycle path winds along Auckland’s southeast coast. It connects Beachlands and Maraetai and offers views of the Hauraki Gulf, Waiheke Island and the Coromandel Peninsula. There are two playgrounds along the way and Ōmana Regional Park is a great place for a pit stop. Other highlights include the beautiful east coast beaches of Maraetai, Te Pene and Ōmana Esplanade Reserve. The path is wheelchair accessible and suitable for prams but there are unsealed sections in some parts. 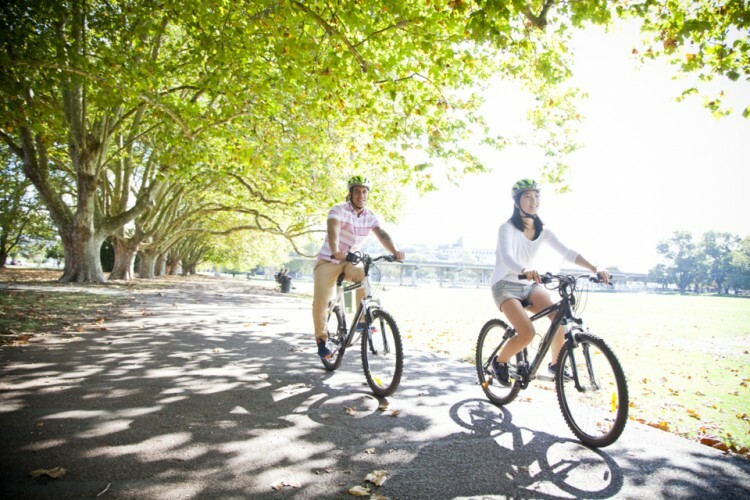 Bike your way around the award-winning network of walk/cycleways along the Oratia, Ōpanuku and Waikumete streams. While you’re at it, check out the community art installations, information panels and sustainable products used along the way. 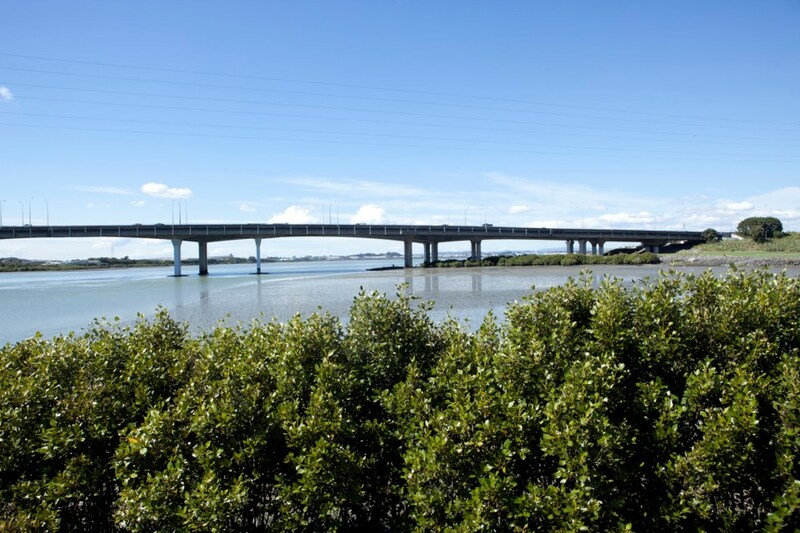 History, major conservation initiatives and wildlife come together in this route which wanders alongside the Manukau Harbour coastline between Māngere Bridge and the Ōtuataua Stonefields. 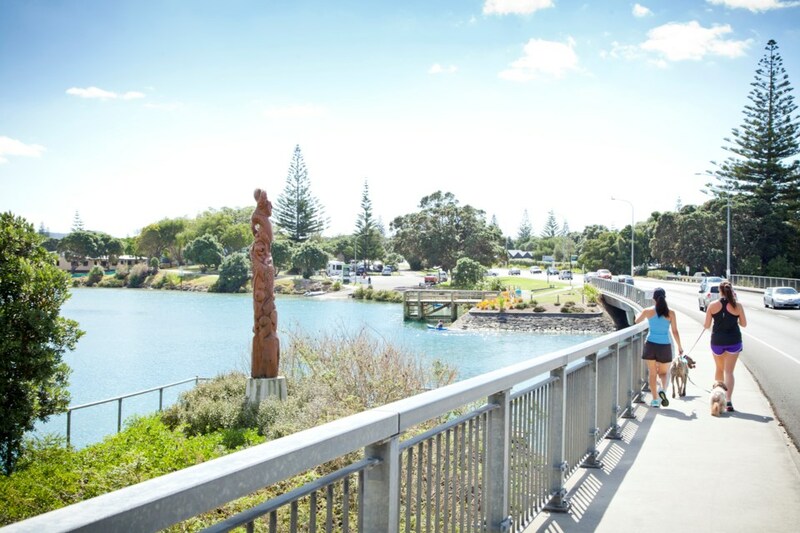 The walkway explores the waterfront of Māngere Bridge Township and finishes near Ambury Regional Park. 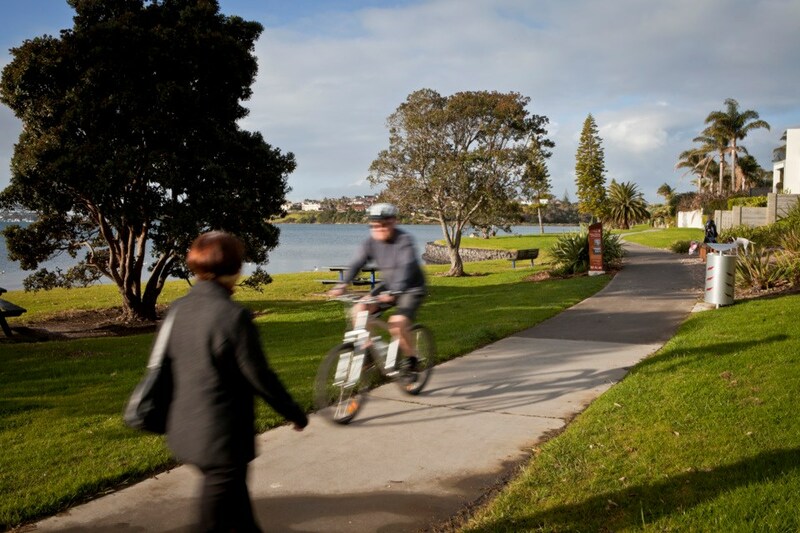 For an extended ride, take the Watercare Coastal walkway – an unsealed track that wanders south along the Māngere Ihumatao foreshore. This is an area rich in history and natural beauty, stretching 7km from Ambury to the Ōtuataua Stonefields. To do a loop, divert via Coronation Road on the way home to Māngere Bridge. 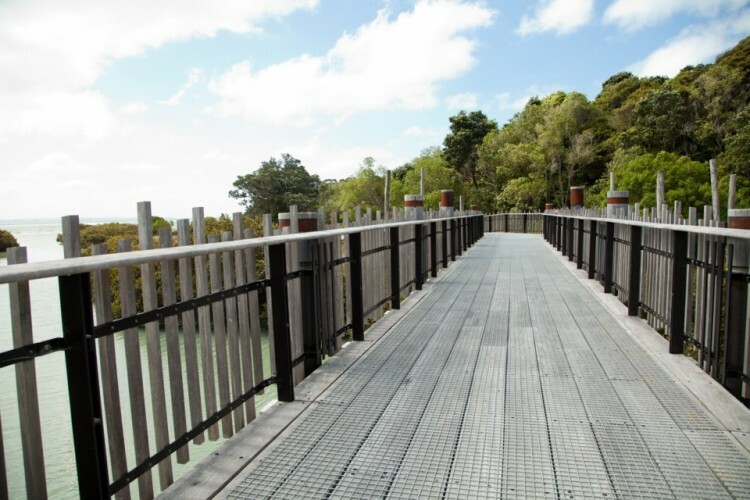 This shared and sealed path runs around the edge of the Tāmaki Estuary and Whakaaranga Creek. Highlights include extensive views up and down the Tāmaki River, layers of ask, peat and ignimbrite, wetland areas and features of historical and cultural significance. Start opposite the Ōhuiarangi / Pigeon Mountain car park. There are lots of picnic spots along the path, which is also home to the local favourite Snakes and Ladders playground. Wind 7.6km around the beautiful Ōrewa estuary. 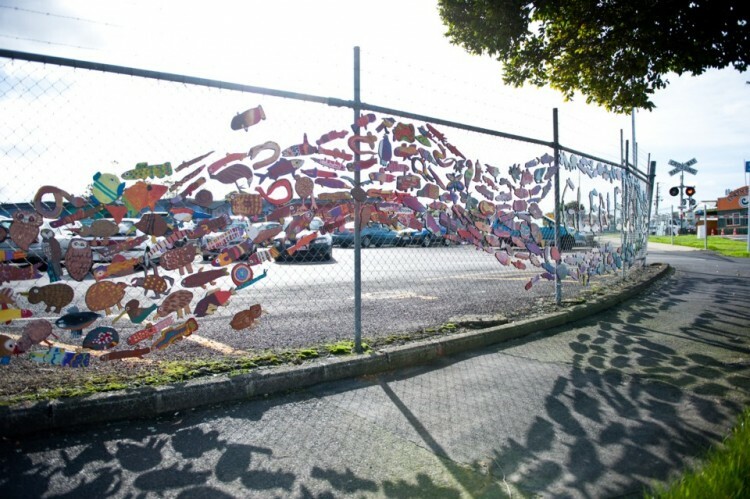 Te Ara Tahuna connects some of Ōrewa’s newest areas with Hibiscus Coast beaches, community facilities and the Ōrewa Township. The path offers a flat circuit for cycling, riding with children on scooters or pushing prams. Distance markers are placed at 1km intervals from Western Reserve. What's really happening to house prices?